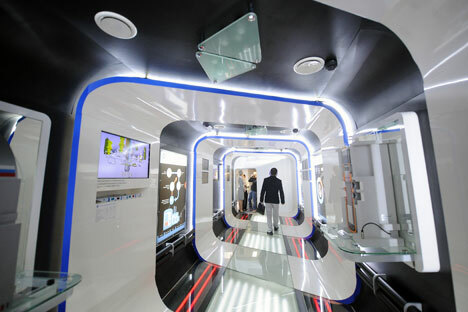 A touring Rusnano exhibition inside a train, a joint project with Russian Railways. The companies are looking to develop joint products. Rusnano, the Russian nano-industry corporation, and China's Zhongrong International Trust are launching the $500-million Rusnano Zhongrong United Investment Fund, Rusnano said in a statement. "Zhongrong is one of the biggest financial institutions in the Asia-Pacific region specializing in direct investment and has successfully invested in large-scale innovation projects," said Anatoly Chubais, the head of Rusnano. "The purpose of our partnership is to set up competitive production not just for the Russian and Chinese markets but also the global market," he said.